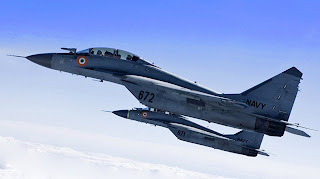 India has commissioned the navy's first squadron of 16 MiG-29K fighters to be operated from a forthcoming aircraft carrier. Indian Defense Minister A.K. Antony officiated at the commissioning ceremony of the fighters at the Indian Naval Air Station Hansa, near Dablom, from where the new Black Panther squadron will operate temporarily. 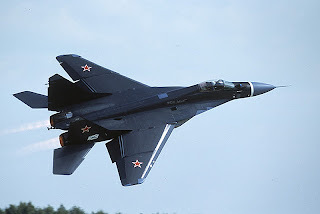 The first four of the 16 MiG-29Ks in the new squadron were inducted three years ago.